Are you looking for Opossum Removal in NJ? ALCO Animal & Pest Control offers prompt, professional and safe Opossum Removal in NJ since 1995 for many satisfied clients. Whether it is residential or commercial Opossum Removal , ALCO Animal & Pest Control will solve your Opossum problem in no time. Our trained and experienced Opossum Removal technicians are qualified to handle a variety of Opossum situations. ALCO Animal & Pest Control will keep you safe and keep you in line with state and local animal laws. ALCO Animal & Pest Control uses environmentally friendly Opossum Removal products as well as humane Opossum Removal methods to keep you and your children safe while performing the Opossum Removal job. Our knowledgeable pest technician will answer any questions you may have and explain to you every detail you need or want to know about the job. We are always friendly and we are here to help you get rid of Opossums. Opossums are often called Possums. They are native to North America and they are the ONLY marsupials native to the continent. Like Australian marsupials, like the Kangaroo, female opossums carry their young in their pouch. Possums are nocturnal animals that are rarely seen in the day time. They are known for their amusing habit of playing dead when they feel threatened. Opossums feed on insects, grass, small mammals, fish, and dead animals. They present very little problem around people when they feel safe. However, they become a problem when they are trapped and can't get out and when they invade homes, basements and other buildings. These animals rarely bite or attack humans unless they are provoked and almost never become infected with rabies. However, they remain a threat because they can carry disease carrying parasites like ticks and fleas. The simple solution to a possum problem is trapping them (they don't make it hard to catch them) and preventing them from getting back in. However, it is not recommended that you attempt to do so by yourself as you could put yourself or in the animal in unnecessary danger. 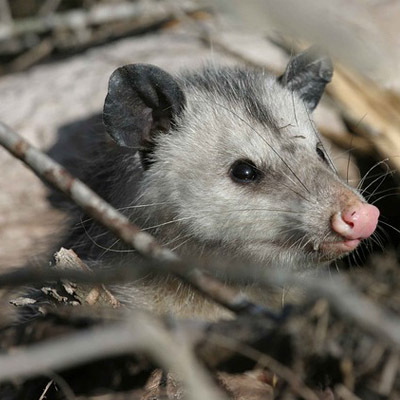 Alco Animal & Pest Control in NJ provides possum control in NJ. We are more than happy to inform New Jersey and out of state visitors on these and other species that can be a health risk. 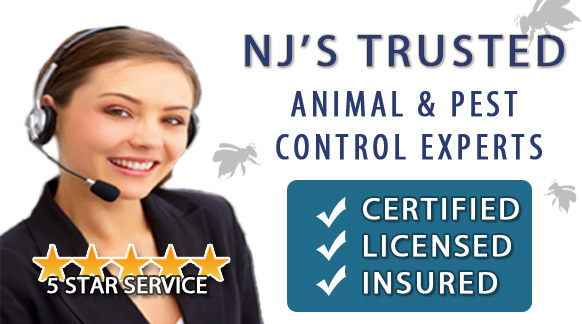 We offer effective and affordable solutions when it comes to animal control in New Jersey.